A dummy waits for reassembly at a stall on the Frankfurt fairgrounds, Sep. 15, the day before the ‘Automechanika’ auto parts trade fair opens. 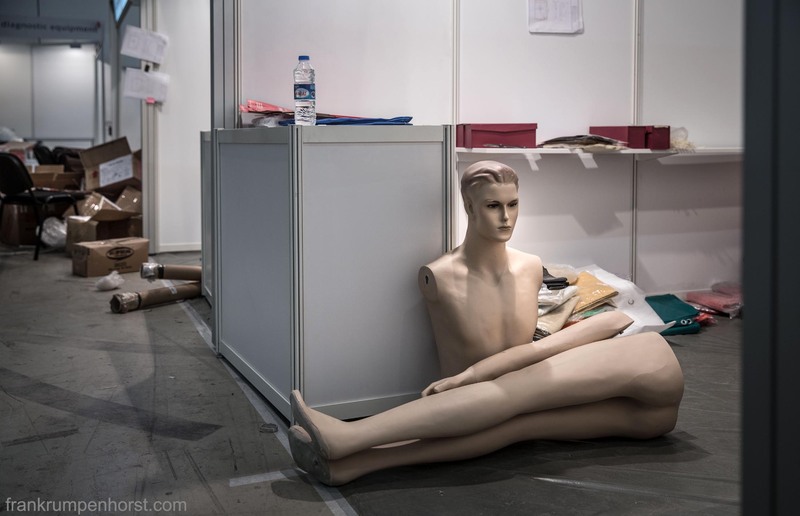 This entry was posted in Fotografie, Photo, Photo Journalism, Photography, Uncategorized and tagged assemble, auto parts, automechanika, disassembled, man, mannequin, party, trade fair, wait, waiting, waiting position. Bookmark the permalink.